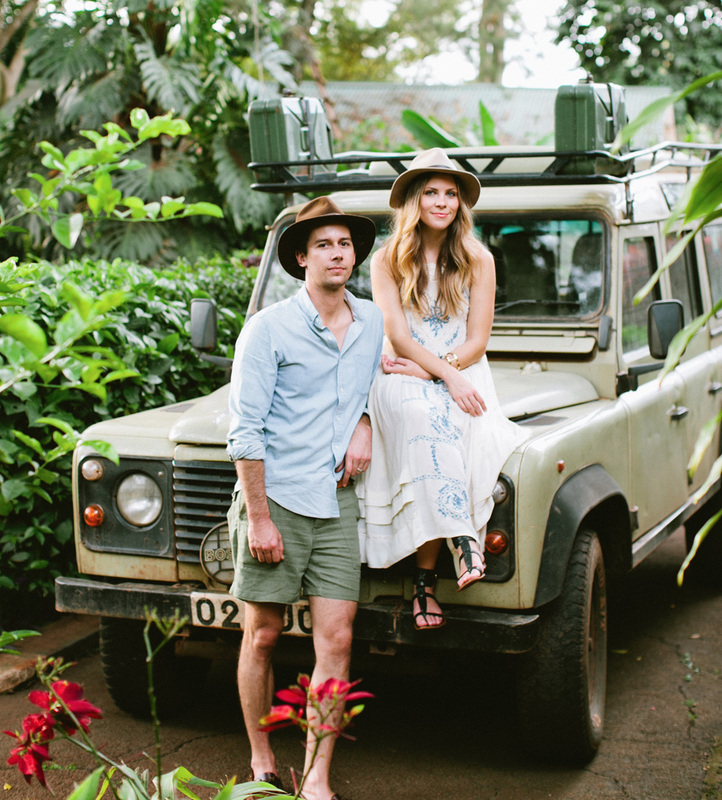 Rose & Fitzgerald is an art, design, and craft studio based in Kampala, Uganda, founded by a Californian couple who fell in love with the beauty of the indigenous materials and craftspeople they encountered in their adopted home of Africa. Courtney and Laren were captivated with the humanity of handmade objects and the soul that each maker weaved, chiseled, casted or sculpted into their work. The Rose & Fitzgerald brand was born from this love affair, endeavoring to preserve traditions and create unexpected, beautiful pieces mixing age-old craft with a simplistic, contemporary aesthetic. Rose & Fitzgerald's collection is designed for those who find value in the imperfections of the creator's hand. Laren and Courtney left their beloved California and made Africa home from 2012 to 2015 for Laren's work in the humanitarian sector. 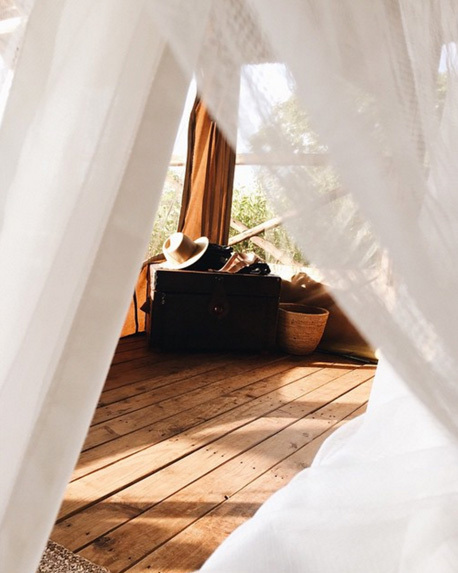 After arriving in Uganda and being exposed to many talented artisans in her new community, Courtney began designing products to decorate their new home, which would also compliment their style. With every piece created, each constructed with unmistakable care and patience by an individual artisan, she began to realize they were truly something special. 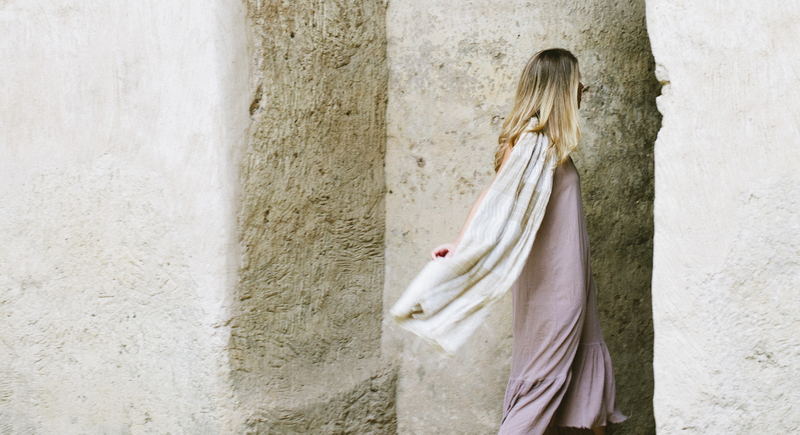 Thus began her dream—to share this beautiful part of the world with others who seek ethically made, unique goods that reflect the wild landscapes they are inspired by. Courtney & Laren on the bank of the River Nile. Photo by Zack Ewing. Courtney & Laren outside their home in Uganda. Photo by Hazel & Pine. Waking for early morning Safari in Uganda. Courtney visiting ancient churches in Ethiopia. Photo by Hazel & Pine. 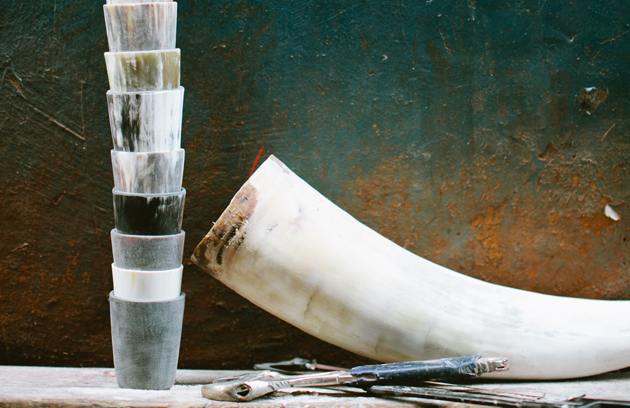 An Ankole horn next to freshly shaped tumblers. Photo by Hazel & Pine. 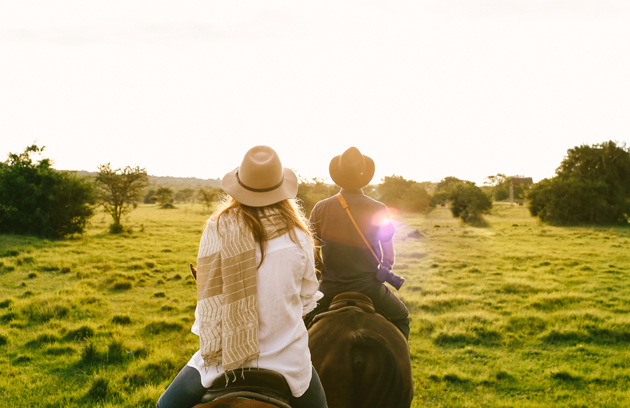 In a world where many artisan goods are produced in factories and peddled by mass marketing campaigns, Rose & Fitzgerald was created in hopes of connecting you to something truly authentic. Rose & Fitzgerald believes the method in which each product is created is as important as the finished good itself, and that the provenance of the materials used is a crucial and meaningful part of the process. 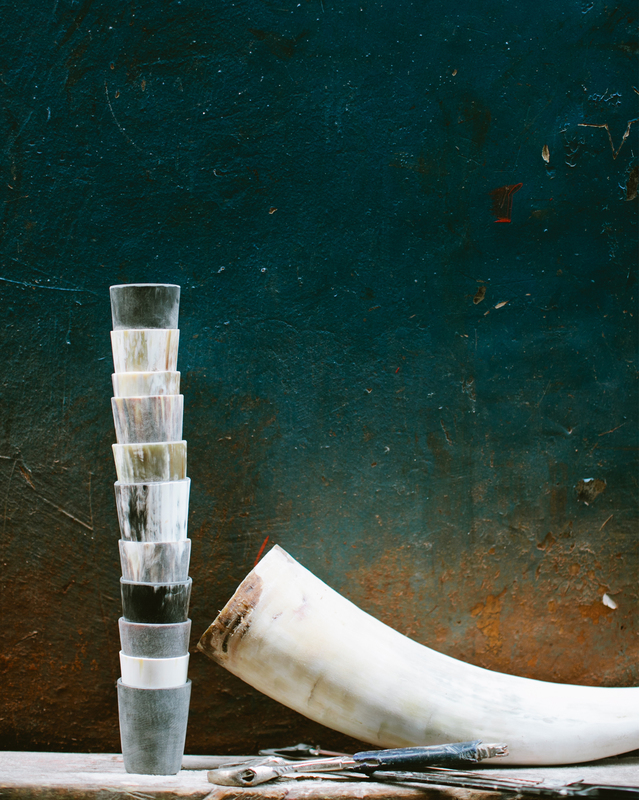 Each piece Rose & Fitzgerald produces is handmade by individual artisans using luxurious materials that have been sourced locally, such an Ankole horn, palm leaf, pure brass, Mugavu and Teak wood, leather, and organic cotton. While modern machinery, such as a lathe, is utilized for the creation of some products, many pieces are heated and sculpted over an open fire, formed using wood molds, and cut, shaped, chiseled, woven or stitched entirely by hand. Rose & Fitzgerald works with East Africa’s most extraordinary talents in techniques such as carpentry, hand chiseling and carving, sculpting, casting, metal working, hand looming, sewing and weaving—all techniques that have been passed down through generations. 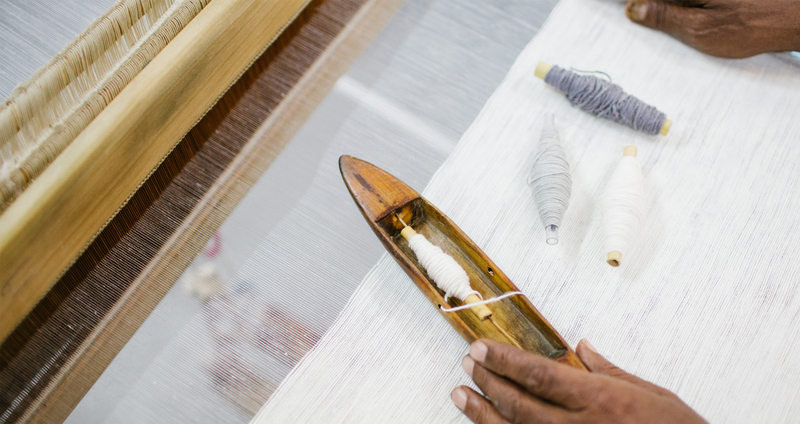 Handspun cotton on the loom at a workshop in Ethiopia. Photo by Hazel & Pine.